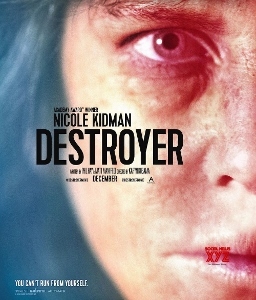 Nicole Kidman plays ruthless detective Clarice Stalin (or something), a deeply damaged woman whose paranoia, as Jay Kay sang, will destroy ‘er. The new film from Jennifer’s Body director Karyn Kusama might as well be called Nicole’s Body, so overwhelming is the focus on Kidman’s corpse-like form. This is her Monster (albeit without the Oscar) – a transformative performance carrying an otherwise unremarkable movie, which also places a woman in the kind of violent role usually reserved for men. Sadly it’s at the service of a clichéd and convoluted thriller that ought to be reported to Amber Rudd because it simply doesn’t work. 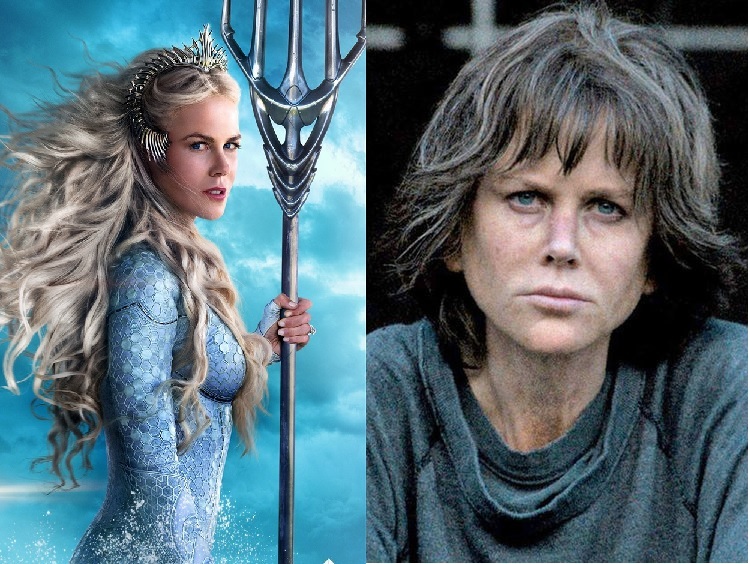 Destroyer has two timelines, one that sees Kidman as a 30-something undercover cop (where ironically she looks more convincing than she does as the woman closer to her actual age) and the other as a traumatised officer back on the case that turned her from Kidman to Oldman. Obsessed to the point of tracking down suspects even when she’s off duty (which does happen, just ask Roger Stone), she spends much of the film gripping her steering wheel, allowing for some of the best knuckles acting of the year – or at least until the Sonic the Hedgehog movie comes out. Kasuma confusingly fails to navigate this complex narrative, which probably requires a director like Jean-Marc Vallée (Sharp Objects), although the script is equally difficult. The characters are either underdeveloped (Scoot McNairy), unlikeable (Sebastian Stan – except you won’t) or wearing a distractingly bad wig (Toby Kebbell) – and then, when you think things can’t get any weirder, Bradley Whitford shows up and starts talking about a cartoon called Super Chicken. Poor Josh Lyman, Trump must have really done a number on him. This sense of confusion and dislike for the characters makes for an unfeeling experience, compounded by a bad score and a hack Russian roulette scene – an easy trick if you don’t know how to create tension through storytelling. The Princess of Atlantis deserves better.